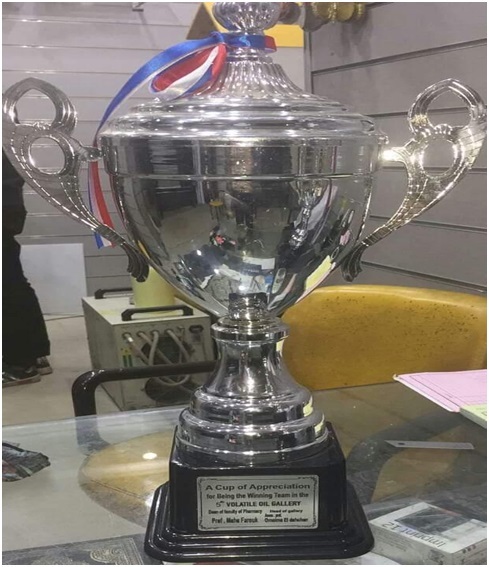 Fourth year students of the Faculty of Pharmacy, 6th of October University, won the first place in the fifth exhibition of Essential oils at Ain Shams University on Wednesday, December 5th, 2018. Dr. Abdul Nasser Al-Sanjab, Vice President of Ain Shams University for post graduate Studies, Dr. Maha Farooq, Dean of faculty of pharmacy, and Dr. Omaima Al Dahshan, Head of Pharmacognosy Department, Ain Shams Faculty of Pharmacy, praised the October 6 University students and prof Dr. Maha Farooq handed them the 1st place cup. 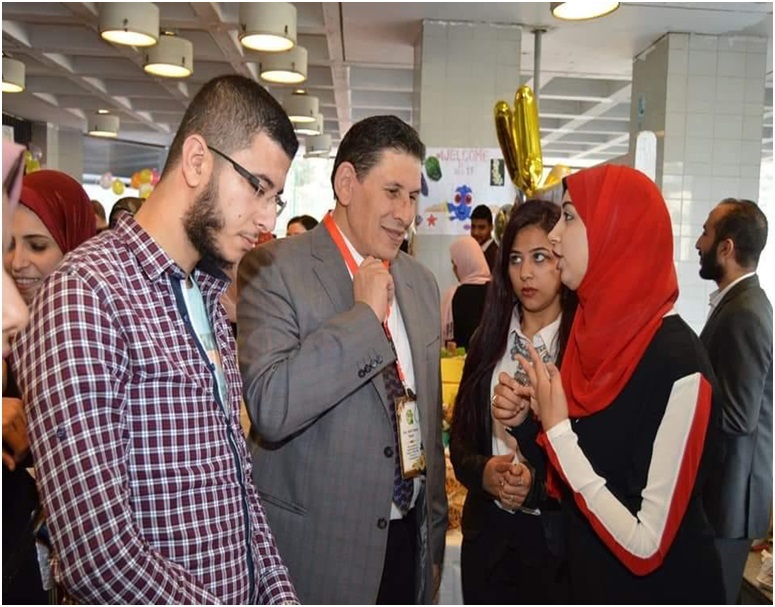 The winning poster was about the best utilization of agricultural residues where the students separated the orange peel oil and used it as ants’ pesticide.